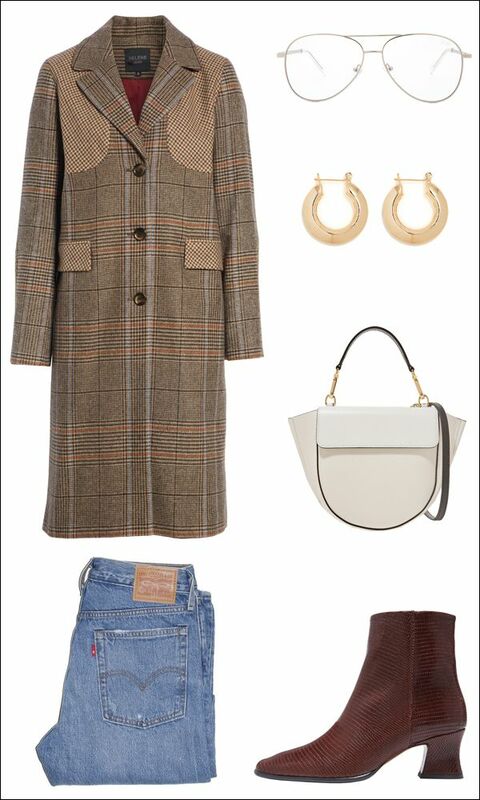 Have your eyes on a plaid coat this season? Here's how we'd wear ours for winter. This mixed check option goes great with sleek glasses, a pair of chunky hoop earrings, a stylish white bag, classic denim, and incredibly cool burgundy ankle boots.